Forget to clean your chain regularly and the grime will eat SRAM and Shimano’s finest for breakfast. Here’s how to restore order once again. 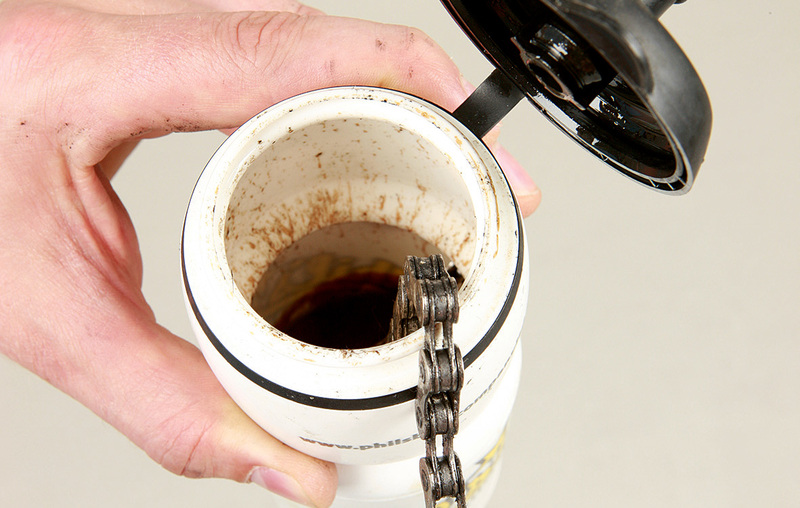 If you want to clean the chain on your bike, the best way is with a chain cleaning machine. Change the solvent/degreaser regularly and cover the brakes with a rag to stop contamination. 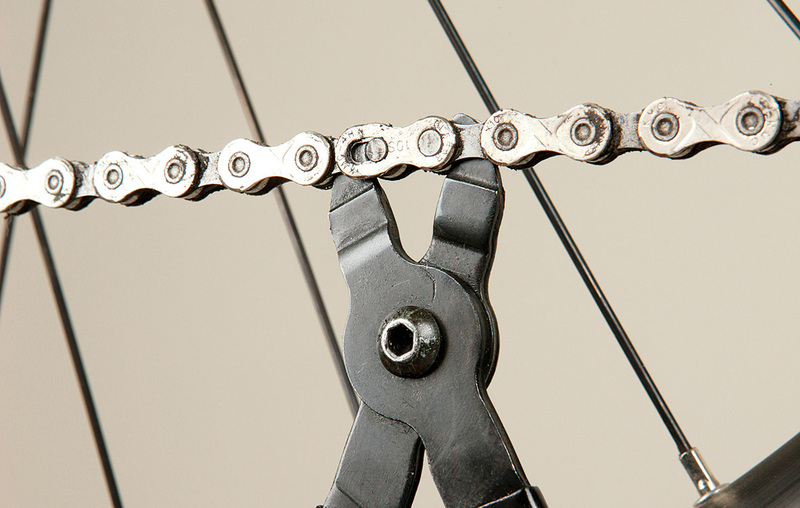 You can remove any chain from the bike, but it’s a lot easier if it is joined using a quick release link. If it’s a SRAM 10 or 11-speed link you’ll need Park-Tool’s Master Link pliers to split it. With the chain off the bike, you can leave it to soak overnight in degreaser, before giving it a thorough scrubbing with a toothbrush. Or you can put it in an old water bottle full of degreaser and shake it clean. it to the bike and apply your favourite lube, making sure you wipe off any excess. 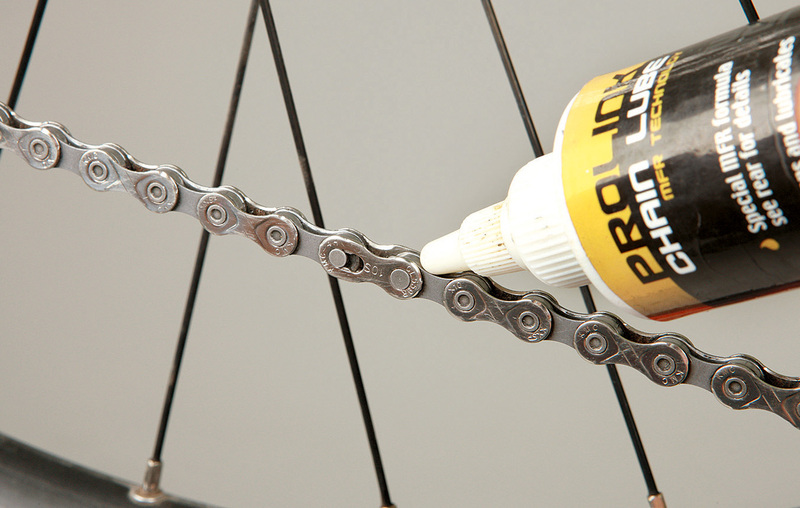 And there you have it, your chain will be as good as new and your drivetrain protected from any nasty gunk.